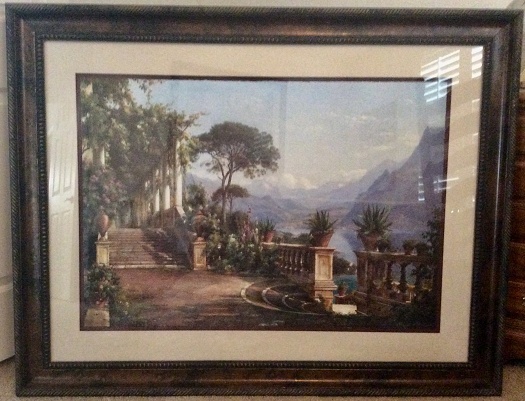 I have a very nice, undamaged, framed painting which shows a tranquil valley from the porch of what looks like a Tuscan style home. The frame is dark wood with decorative trim. Has a sturdy wire for hanging and the picture is framed with a very nice complementary matting. Size is approximately 42 1/2" x 54 1/2" and 2" deep. Asking $150. Contact Mike at (480) 655-6576.